We put cheese on just about everything, don't you? If so, you can just imagine my excitement when I received samples of Authentic Asiago Cheese PDO, both Fresh and Aged, from an Asiago Cheese Consortium. I immediately started cooking with it, and honestly, I think I used this delicious, Authentic Asiago Cheese every day for a week! Sadly, the fresh cheese was gone in a hurry. 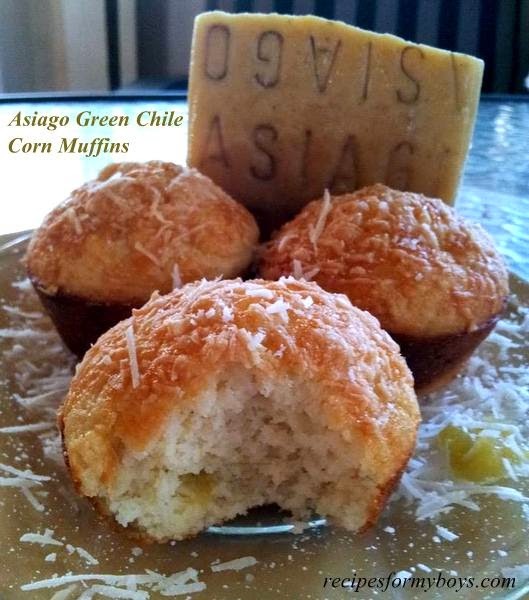 However, I am still using the aged, adding it to old and new recipes, like these Asiago Green Chile Corn Muffins!